So far this Comic-Con has been owned by Warner Bros. and DC Entertainment. 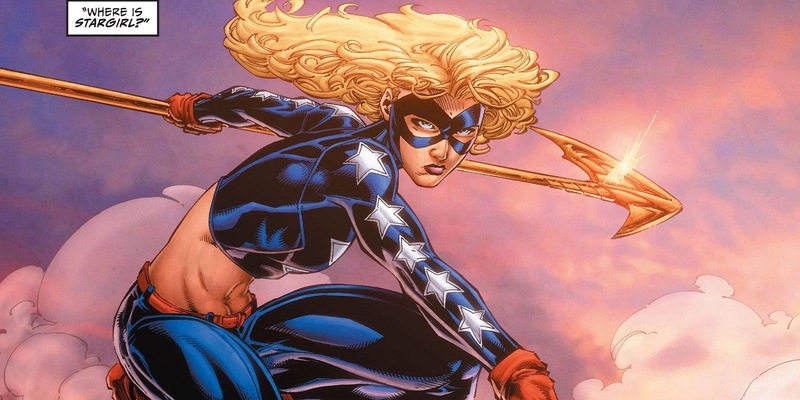 After dropping a big ol' F-bomb in their Titans trailer, now comes word that a Stargirl series is in the works for the DC Universe streaming network. Here is the synopsis: STARGIRL follows High School sophomore Courtney Whitmore who inspires an unlikely group of young heroes to stop the villains of the past. This new DC Universe series reimagines Stargirl and the very first superhero team, the Justice Society of America, in a fun, exciting and unpredictable series premiering in 2019, produced by Warner Bros. Television, Mad Ghost Productions and Berlanti Productions. Johns will write the series and exec-produce with Greg Berlanti and Sarah Schechter. So make that six confirmed series for DC Universe including Titans, Doom Patrol, Swamp Thing, Harley Quinn, and Young Justice: Outsiders.